Q. Yes. Studies show that dental sealants can diminish the risk of decay by 70%! A. 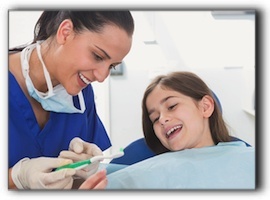 Your dentist applies the sealant resin as a liquid which quickly hardens and adheres tightly to the pits and grooves. The procedure is speedy, simple and painless. A. Not necessarily. Talk to your dentist about whether sealants could benefit you.